What is un-American? What is Unpatriotic? There’s a common misconception that questioning or distrusting the country you come from or the reigning government of that country is somehow a form of disloyalty. Often it’s seen as being unpatriotic. In truth, such feelings and the appropriate expression of them is the highest form of patriotism. I detest this country for what it is, but I love it for what it could be. Does that make me a patriot or does it make me anti-American or un-American? So, the question remains: is it unpatriotic to see things for what they are and to be disappointed or angered by them or is it better to suffer from delusions of cultural superiority and blind patriotism? 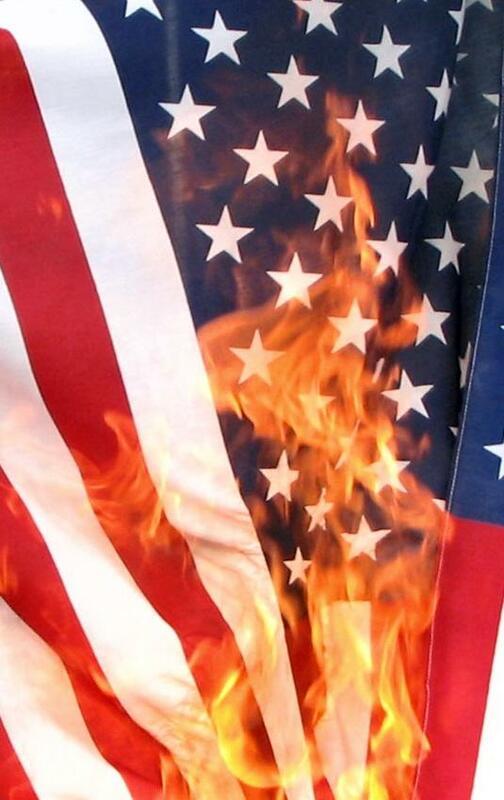 I can’t even recall how many times I’ve been accused of being anti-American or un-American by someone who was completely oblivious to the crimes that this country has committed. Am I anti-American or un-American? Yes, and no. Firstly, I am against nationalism and I believe that, as human beings, we need to look beyond the illusory borders and boundaries that we permit to divide us. Why should we take pride or have shame over something as absurd as the geographic location that we originate from? Is one pile of dirt that different from another? Is one corrupt and hypocritical regime that distinct from the others? Is one ethnicity, religion, or culture superior while the others are inferior? Not from where I’m standing. We’re all equal, whether we recognize it or not. Secondly, to suggest that I’m exclusively anti-American is nonsensical for a number of reasons. The most obvious being that I am an American. I was born and raised here and if being an American is determined by that fact alone, then I certainly would fall into that category. I am a product of both nurture and nature, having been shaped by (or in spite of) the environment in which my character developed. So, if I were to be anti-American, then in essence I would be anti-me. Also, accusing me of being anti-American or un-American is further evidence that the self-proclaimed “true Americans” are too arrogant and/or too ignorant to notice that I’m anti-nationalist, so by nature I would be against the asinine concept of being for either this nationality or that one. I do not acknowledge nations or countries insomuch as they are simply constructs built to contain and separate different cultures at various geographical points around the globe. For hundreds of centuries, going back to the dawn of civilization, there have been those individuals who have gone against the grain and asserted their own individuality. Often these individuals were critical of their contemporaries, their culture, and of the ruling majority. In almost every single case from those ancient times until the present, dissenters have been singled out and ostracized for their differing perspectives and opinions, even though their criticisms often sowed the seeds for positive change. There is a definite pattern of outcasts becoming martyrs while supposed patriots become fanatics. Is this due to revisionist views of history by which the underdog or the loner is romanticized? Perhaps to some degree, but when the ideas of these individuals form the cornerstones for great cataclysmic upheavals and change, their significance cannot be denied regardless of whether or not the changes they helped to usher in were of benefit or detriment to society as a whole. Therefore the argument must be put forth that the critics, the cynics, and the curmudgeons are of fundamental importance to their fellow countrymen. Yet despite this they are shunned, ridiculed, and silenced for speaking unwelcome words or offering less-than-flattering opinions. But if it weren’t for those seers who saw the flaws in the foundation of society, who saw the chinks in the armor of the governing body, the ugliness in the self-styled beauties, then we would not acquire and adapt new perspectives. The human mind and the human collective would become stagnant, regressive, conformist, and would shrink from the shadows of the unknown rather than casting forth an illuminating beam of curiosity and knowledge. So, perhaps instead of viewing those that are deemed rebels or dissenters as being unpatriotic to the countries from which they spring, we should view them as visionaries who see beyond their present time and place… for while they are the heretics of today, they are also the true patriots of tomorrow.